Ireland, then still part of the United Kingdom, was one of the first countries to have Boy Scouts. The first recorded meeting took place at the home of Mr. Richard P. Fortune, 3 Dame Street, Dublin on 15th February 1908 where four boys were enrolled in the Wolf Patrol of the 1st Dublin Troop. A plaque marks the location of the house, now demolished, on the plaza next to Dublin’s City Hall. The 2nd Dublin formed the following week at 5 Upper Camden Street. Details of the formation of early Scout Patrols and Troops are sketchy, as initially there was no administration to keep such records, but other Scout Troops formed in Dublin and in Bray, Greystones, Dundalk and Belfast in the early months of 1908. The Greystones and Dundalk troops have been in continuous existence ever since. In 1921 the Anglo-Irish Treaty created the Irish Free State, within the British Commonwealth. The Irish Free State (later Éire) Scout Council was created for Scouts in the 26-Counties, still linked to the UK Boy Scout Association. Membership was open to all religious faiths. Members of this Association were popularly known as ‘B-P Scouts’. B-P visited Ireland to review his Scouts in 1910, 1911, 1915 and 1928. He died and was buried in Kenya in 1941. When the Republic of Ireland was declared in 1949, a new independent national Association, the Boy Scouts of Ireland was formed from the Éire Scout Council. An International Patrol Camp ‘Loc Rinn 1960’ was held at Lough Rynn, Mohill, Co. Leitrim. The BSI celebrated the Diamond Jubilee of Scouting with an International Jamboree Westport 1968 and completed a major review of structure and programme. The removal of references to the word “boy” from the title and rules opened the way for the admission of girls to the new senior Venture Scout section, and later co-education for all age ranges. 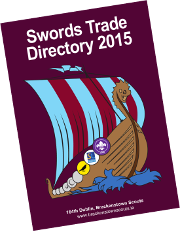 The new Scout Association of Ireland replaced the BSI in November 1968. During the 1920’s some of those with aspirations for the new Ireland felt uncomfortable with the focus of the existing Scout Association, which tended to have a pro-British and Protestant image. Fr. Tom Farrell and his brother Fr. Ernest Farrell considered the possibility of establishing an Association with a Catholic ethos. Some ad-hoc Catholic Troops were already operating. In 1925 Fr. Ernest wrote a series of articles in Our Boys magazine, under the nom-de-plume “Sagart”, advocating the formation of an Irish Catholic Scout association. A Constitution was drawn up and approved by the Catholic Hierarchy in November 1926 and Fr. Tom founded the Catholic Boy Scouts of Ireland in 1927. The first Troops included Fr. Ernest’s own experimental group in Greystones, 1st Dublin (“Archbishop’s Own”, Fairview), “Headquarters Troop” at the University Church, St. Stephen’s Green and 2nd Dublin (St. Teresa’s, Clarendon Street). CBSI played a significant role in services to the 1932 Eucharistic Congress with a large camp at Terenure College. The First Aid Corps later evolved into the Headquarters Division of the Irish Red Cross when established in 1939. In 1934 a major Holy Year Pilgrimage to Rome was organised, chartering the cruise liner ‘Lancastria’. On the voyage Sir Martin Melvin, the proprietor of the English Catholic paper ‘The Universe’, presented a silver trophy, later named in his honour, which became the premier award for the CBSI’s National Scout Campcraft Competition held each August. Larch Hill camp site in Tibradden on the slopes of the Dublin Mountains was purchased in 1938, using surplus funds generated by this Pilgrimage, and is today the National Office and Campsite of Scouting Ireland. The CBSI expanded quickly to become the largest Scout Association in Ireland, with Troops in many Catholic parishes throughout the Country. 1930, 1936, 1958 CBSI National Pilgrimages to Lourdes. 1930’s Senior Knight Errant Clans added. 1938 A junior Wolf Cub or Macaoimh section added. 1962 A major programme review updated the programme and testwork schemes. 1970 A new Constitution was introduced with a strong democratic structure. 1971 The Venturer section replaced the Knight Errant Clans. 1983 CBSI accepted girls as Venturers (and soon afterwards in all sections). A Beaver section was also added.